Styling that tries too hard to look trucky? 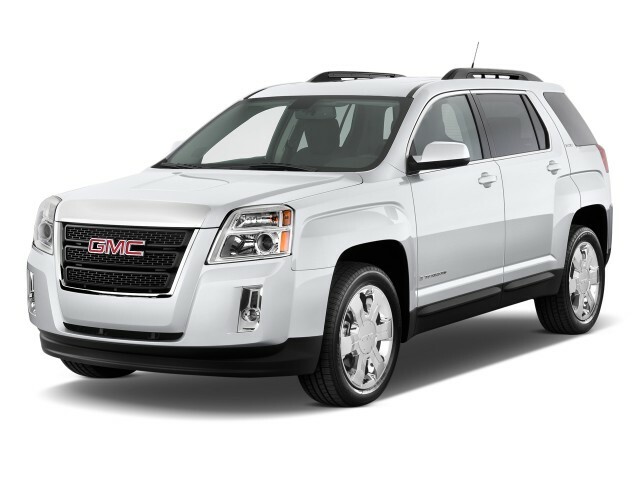 The 2011 GMC Terrain is the best value in its entry-level forms. High-end V-6 models can total more than $35k and approach the price range of GM’s own Cadillac SRX. The 2011 GMC Terrain looks bold and edgy on the outside, but it’s a softy inside, with a comfortable, refined cabin and excellent fuel economy. The GMC Terrain was all-new last year and slots into the brand's lineup as a little brother to the successful Acadia full-size crossover. It's closely related to the Chevrolet Equinox, which means there's a tidy exterior package with good room inside, and thoughtful features that maximize either cargo or passenger capacity. Front-wheel drive is standard, four-wheel drive an option, and the Terrain offers some of the best fuel economy figures in its class, with EPA highway numbers of up to 32 mpg. The styling of the 2011 GMC Terrain definitely stands out. 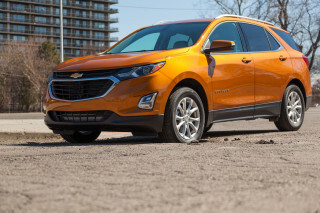 With big, chunky fenders, with almost ridiculously exaggerated wheel well flares, a decidedly upright stance, and a tall, broad grille, the Terrain is instantly recognizable, contrasting sharply with the related Chevrolet Equinox's rounded look. It's also a bit polarizing; people either love it or hate it, without much middle ground. Inside it's a lot more conventional, soft, and carlike, though it does include some of the chunky cues and clouded metallic trim of other GMC models, like the larger Acadia crossover. Last year a pair of clean-sheet, new-think powertrains arrived, and they make the Terrain competitive with the best in the class for fuel economy and refinement, if not performance. The base four-cylinder engine is a 2.4-liter with direct injection, making 182 hp, while a 264-hp, 3.0-liter direct-injected V-6 is available. 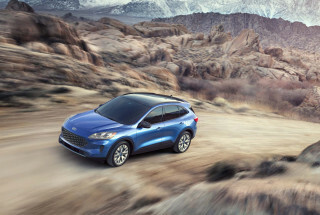 Both Terrain engines also feature variable-valve timing, and both are mated to six-speed automatic, but drivability with the transmission hasn't been the best, from our experience--especially with the four-cylinder engine, and possibly related to the four's lack of low-end torque. Push the accelerator harder and let the four rev and it actually has plenty of power for most needs; only those typically towing or carrying very heavy loads will need the V-6—which ups the tow rating from a measly 1,500 pounds up to 3,500 pounds. The 2011 GMC Terrain doesn't have a third seating row as some vehicles this size do, but GM has made good use of the space for passengers with good seats, and the cabin is very comfortable and quiet. All Terrains also come with an oversized glove box, a covered storage binnacle above the center stack, a laptop-sized center armrest storage bin, and two-tier storage within the doors. The standard MultiFlex sliding rear seat can be moved up or back nearly eight inches, and the rear cargo area behind it offers up 31.6 cubic feet of storage (presumably with the seat fully forward). But the cargo floor is just a little high compared to rival vehicles, and the back seats don't fold to a completely flat cargo floor. It's a tight, quiet interior. Unique to the four-cylinder model is a special active noise cancellation system that works through both the built-in audio system and a few dedicated speakers to allow the engine to run at its most efficient RPM range. It also prevents what engineers call a "booming" resonance in the cabin that would otherwise occur. Top-notch safety features and some of the best crash-test ratings in this class complete the package. The 2011 GMC Terrain has earned very respectable ratings in tougher new federal tests and is an IIHS Top Safety Pick. Rear visibility is the only caveat. 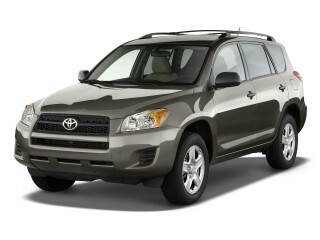 A strong feature set for the entry price is one of the other major distinguishing characteristics of the 2011 Terrain. All models come standard with a rear-vision camera, USB connection, keyless entry, XM Radio with three-month trial subscription, two-way power driver's seat with lumbar control, and ambient lighting. Optional upgrades include a touchscreen navigation/infotainment system with 40GB of storage (and 10 GB for music), remote start, leather-wrapped steering wheel with integrated audio controls, Bluetooth connectivity, and a dual-screen 8-inch DVD rear-seat entertainment system. Altogether, a loaded V-6 Terrain can price at more than $35k—not far from the price of the larger, three-row Acadia crossover. In a class of rather anonymous vehicles, the 2011 GMC Terrain is visually striking from the outside. The styling of the 2011 GMC Terrain is definitely the first thing most people will notice. With big, chunky fenders, a decidedly upright stance, and a tall, broad grille, the Terrain is instantly recognizable, contrasting sharply with the related Chevrolet Equinox's rounded look. It's also a bit polarizing; people either love it or hate it, without much middle ground. It's also cut from the same cloth as the Acadia, especially in looking at details, with "bold, muscular fender flares" in the manner of GMC's design aesthetic." GM calls it "angular yet refined." While both of the engines available on the 2011 GMC Terrain are smooth and refined, you have to choose between fuel-efficient and punchy. Last year a pair of clean-sheet, new-think powertrains arrived, and they make the Terrain competitive with the best in the class for fuel economy and refinement, if not performance. The base four-cylinder engine is a 2.4-liter with direct injection, making 182 hp, while a 264-hp, 3.0-liter direct-injected V-6 is available. 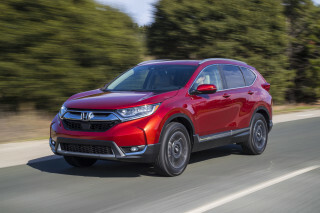 Both Terrain engines also feature variable-valve timing, and both are mated to six-speed automatic, but drivability with the transmission hasn't been the best, from our experience--especially with the four-cylinder engine, and possibly related to the four's lack of low-end torque. Push the accelerator harder and let the four rev and it actually has plenty of power for most needs; only those typically towing or carrying very heavy loads will need the V-6—which ups the tow rating from a measly 1,500 pounds up to 3,500 pounds. Well-built and comfortable, the 2011 GMC Terrain delivers on interior comfort and quality regardless of trim level, though it does have some ergonomic kinks. The 2011 GMC Terrain doesn't have a third seating row as some vehicles this size do, but GM has made good use of the space with good seats, and the cabin is very comfortable and quiet. Front seat passengers will like the wide-open feel of the cockpit and comfortable, mildly bolstered seats. Rear-seat legroom is surprisingly good despite the Terrain's compact dimensions, thanks to a sliding bench arrangement. The slider also allows for more cargo room in the rear when desired, and the folding seats open up for a maximum capacity of 63.9 cubic feet. With the seats up, cargo capacity is still good at 31.6 cubic feet. That said, the cargo floor is just a little high compared to rival vehicles, and the back seats don't fold to a completely flat cargo floor. All Terrains also come with an oversized glove box, a covered storage binnacle above the center stack, a laptop-sized center armrest storage bin, and two-tier storage within the doors. The standard MultiFlex sliding rear seat can be moved up or back nearly eight inches, and the rear cargo area behind it offers up 31.6 cubic feet of storage (presumably with the seat fully forward). Whether you choose durable fabric or the quality-feeling leather, interior build quality and comfort is not an area for complaint in the 2011 GMC Terrain, but some trim pieces disappoint with a hollow, hard plastic feel; the release for the bin at the top of the instrument panel, a thin piece of chromed plastic, feels especially brittle. The 2011 Terrain is a high-achiever in safety, with all the equipment and test results that matter. Only some rearward visibility is lacking. The 2011 GMC Terrain has achieved some of the best crash-test results in its segment, with four stars overall, four stars in frontal impact, and five stars in side impact. The Terrain also got top five-star results in the tough new side pole test. The Insurance Institute for Highway Safety (IIHS) also rates the Terrain extremely well, giving it the highest score of "good" in frontal offset, side impact, rear impact, and roof strength tests, and awarding it a Top Safety Pick designation. After all those good points, there's one noteworthy flaw worth pointing out: rearward visibility can be downright horrible for some drivers, and rear-seat headrests don't remove or fold down to open up vision in the rear-view mirror. Optional rear parking sensors round out the available safety gear, combining with the standard rearview camera to make it easier to see obstacles behind the vehicle. The display is mounted in the rearview mirror in non-navigation-equipped vehicles. All GMC Terrains come standard with a PASS-Key III Theft Deterrent System as well. A long standard-feature list makes the 2011 Terrain a good buy, but many optional add-ons can push the price upward quickly. 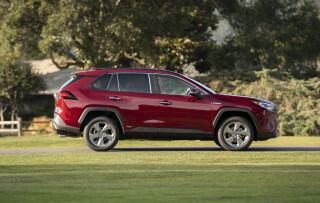 A strong feature set for the entry price is one of the other major distinguishing characteristics of the 2011 Terrain. All models come standard with a rear-vision camera, USB connection, keyless entry, XM Radio with three-month trial subscription, two-way power driver's seat with lumbar control, and ambient lighting. 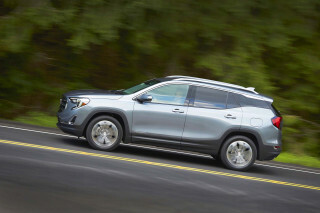 The GMC Terrain does cost a bit more than the closely related Chevrolet Equinox, though that money does bring a higher level of standard equipment, including fog lamps, tinted glass, a USB port, and a backup-camera display. Optional upgrades include a touchscreen navigation/infotainment system with 40GB of storage (and 10 GB for music), remote start, leather-wrapped steering wheel with integrated audio controls, Bluetooth connectivity, and a dual-screen 8-inch DVD rear-seat entertainment system. Altogether, a loaded V-6 Terrain can price at more than $35k—not far from the price of the larger, three-row Acadia crossover. 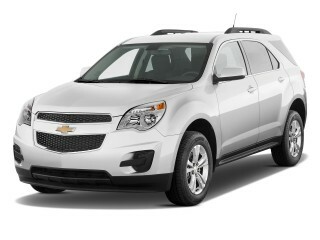 With the base four-cylinder engine, the 2011 Equinox’s fuel economy figures are a major selling point. The base 2.4-liter four-cylinder is the first four for a GMC crossover or SUV since the 1980s, and it makes an estimated 182 hp. GM predicts best-in-segment EPA fuel economy ratings of 21 mpg city, 30 highway. The available 3.0-liter V-6 is a downsized version of the Lambda crossover's 3.6-liter; it's estimated at 264 hp and 18/25. With the new direct-injected four-cylinder engine that was introduced last year, the 2011 Chevrolet Equinox has great fuel economy. At 22 mpg city, 32 highway for the base four with front-wheel drive, the Equinox is among the most frugal vehicles in this class, and the highway figure is better that a Ford Escape Hybrid, even. 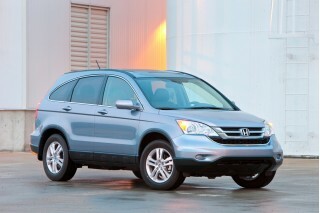 Stepping up to AWD, mileage drops to 20 mpg city, 29 mpg highway, still good for a comfortably sized crossover. 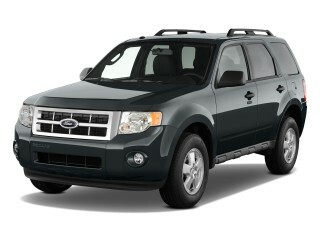 With the V-6, fuel economy rates a less impressive 16/22 with all-wheel drive, or 17/24 with front-wheel drive. Fun car to drive. Reliable. Blind spots only negative. Nice car, but misses on major points.